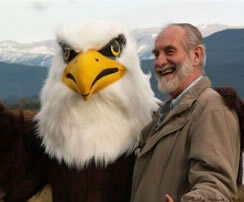 The Fraser Valley Bald Eagle Festival Committee is comprised of 7 working Directors , 5 honourary Directors and 1 Director that falls under both headings. We are a group of like minded volunteers who have been drawn together based on a mutual admiration for the area, the environment and the most impressive of raptors, the bald eagle. During the festival weekends we have 20-40 volunteers that help keep the programs running smoothly but we are always looking for more people to add to the mix. Such an large and ambitious event would not be possible if not for the dedication and hard work put in by all the volunteer on this Committee. Interested in joining the fun ? Contact us and find out how you can get involved. Volunteer coordinator Brett McCarthy brett_mccarthy@hotmail.com. 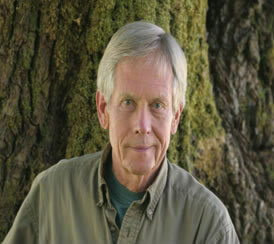 Honourary Director: Robert Bateman FULL BIOS BELOW ! founder of B.C. Rivers Day ( started in 1980), a province wide celebration of B.C.’s rivers that now attracts up to 75,000 people every year. 2004 inaugural recipient of the United Nations Stewardship Award for river conservation and stewardship efforts associated with the International Year of Fresh Water. 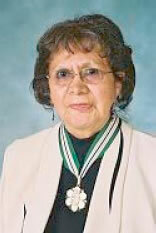 2001 recipient of the Order of Canada (Canada’s highest honour) “for exceptional and on-going achievements in the protection and restoration of Canada’s waterways”. 1998 recipient of the Order of British Columbia (BC’s highest honour) in recognition of outstanding service and achievement in river conservation. inaugural recipient of the “10 Year National River Conservation Award” as Canada’s outstanding river conservationist of the past decade. past chair and B.C. representative, as well as the first non-government board member of the Canadian Heritage Rivers System. past chair of the Theodosia River Coalition, a group that played a key role in the BC government’s decision to modify a large dam in an effort to restore fish stocks. Project Administrator for the 2001 “River Recovery Project”, which identified candidate dam structures for decommissioning and/or modification. 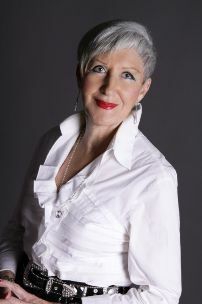 Past President of the BCIT Faculty and Staff Association, current faculty representative of the BCIT Board of Governors and a director on several foundations. Grand Chief Rose Charlie belongs to the Chehalis Band in the Sto:lo Nation located in the Fraser Valley along the Harrison River where the Fraser Valley Bald Eagle celebrates its eagle viewing during the festival. She is a member of the Union of B.C. Indian Chiefs and was named the Grand Chief of B.C. Biologist, conservationist, writer, publisher and lecturer,DavidHancock, spent most of his life studying the west coast and arctic wildlife. He has published scientific and popular papers on whales, seals, seabirds, grouse and his specialty, the northern raptors, as well as producing films on these topics and the Haida and other northern natives. The Bald Eagles of Alaska, BC and Washington, Rocky Mountain Wildlife and The Tlingit: their Art & Culture. Alaska – Yukon Wildflowers, Eco-Tourism of the NorthWest and one on The Living Glacier. Currently he is undertaking studies of the bald eagles along the NW coast and working on a Sandhill Crane project. Prior to starting Hancock House Publisher he was a pilot and wildlife film producer, again specializing on the native cultures and wildlife of the coast and north. His studies and travels, have taken him to all continents of the world. Most recently he was responsible for world wide acclaim given to the “Live Bald Eagle Streaming Video Cam. His current study on The Urban BaldEagle of Vancouver BC has turned up over 150 nesting pairs in the greater Vancouver area. He is a regular speaker at the Fraser Valley Bald Eagle Festival, the Haines-Chilkat BE Festival, The Brackendale BE Festival and the Campbell River BE Festivals. West Coast Wildlife. Penguins – the Little People of the Ice. The NW Native Art & Culture Antarctic Glaciers – are they disappearing? History of the Gold Rush of ‘98 Australia’s weird and wonderful wildlife. DavidHancock frequently addresses conservation societies on the conservation and creation of better bald eagle habitat, the Turacos of the World, the Grouse of the World, Arctic Adventures, An African Photo Safari: these are but a few of his pet topics. Getting Published – a writers insight. Non-fiction Writing – the easy way in! Photo-journalism: Let words sell your photos. Robert Bateman has been a keen artist and naturalist from his early days. He has always painted wildlife and nature, beginning with a representational style, moving through impressionism and cubism to abstract expressionism. In his early 30’s he moved back to realism as a more suitable way to express the particularity of the planet. It is this style that has made him one of the foremost artists depicting the world of nature. In the ’70s and early ’80s, Bateman’s work began to receive critical acclaim and to attract an enormous following. His work is in many public and private collections, and several art museums, including the National Museum of Wildlife Art in Jackson Hole, WY. He was commissioned by the Governor-General of Canada to create a painting as the wedding gift for HRH Prince Charles from the people of Canada. His work is also represented in the collection of HRH Prince Philip, the late Princess Grace of Monaco and Prince Bernhard of the Netherlands. Bateman has had many one-man museum shows throughout North America, including an exhibition at the Smithsonian Institution in Washington, DC; most of these shows have drawn record-breaking crowds. His honours, awards and honorary doctorates are numerous: he was made Officer of the Order of Canada, the country’s highest civilian award in 1984. He has also been given the Rachel Carson Award (1996), the Golden Plate from the American Academy of Achievement (1998) and the Order of British Columbia (2001); he was named one of the 20th Century’s Champions of Conservation by the U.S. National Audubon Society (1998). Through his long association with Mill Pond Press, thousands of wildlife lovers the world over have been able to enjoy Bateman prints. Books about his life and art include The Art of Robert Bateman, The World of Robert Bateman and Robert Bateman: An Artist in Nature and Natural Worlds. Thinking Like a Mountain, an environmentalist’s look at the world and Bateman’s Birds brought sales of his books to over 1,000,000 copies. Two children’s books are Safari, an illustrated book of African animals for young readers, and Backyard Birds. He has also been the subject of several films. It is in honour of Bateman’s contribution to art and conservation that one public and two secondary schools have been named after him. As well, he has been awarded 10 honorary doctorates. Born in Toronto, with a degree in geography from the University of Toronto, Bateman taught high school for 20 years, including two years in Nigeria. He travelled around the world in a Land Rover in 1957/58, increasing his appreciation of cultural and natural heritage. Since leaving teaching in 1976 to paint full-time, he has travelled widely with his artist/conservationist wife Birgit to many remote natural areas. 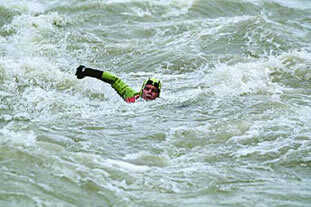 Having swum the length of the Fraser River twice, I have seen first hand the river’s incredible beauty. From old growth trees in the headwaters, to deserts in the canyon, to the urban landscape near its mouth, the Fraser has it all. It supports a stunning array of wildlife, including salmon, sturgeon, big horn sheep and bald eagles. I’m proud to be associated with the “Fraser Valley Bald Eagle Festival” – a place where people can learn about these amazing creatures, including how to protect them and their habitat. Donnelly’s passion for the environment stemmed from his University of Victoria philosophy studies and volunteer work. He has been an advocate of sustainable living for more than fifteen years. 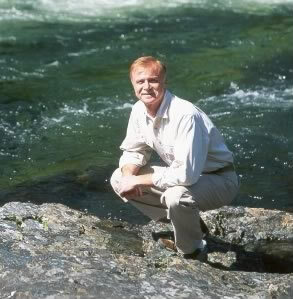 From 1990-2000, Fin Donnelly made 14 environmental marathon swims, covering more than 3,200 km in BC’s rivers, lakes and ocean, drawing attention to impacts on waterways and other environmental health issues, encouraging community stewardship and sustainable living. He has swum the 1,400km length of the Fraser River twice, Quesnel Lake, Pitt Lake, Williams Lake, the Raush River, Georgia Strait four times and Juan de Fuca Strait. After Donnelly’s first Fraser River swim in 1995, he founded the Rivershed Society of British Columbia, a charitable organization with a vision of salmon flourishing in our rivers and people flourishing in our communities. In his current role as the Society’s Executive Director, Donnelly works with Fraser River community stewards, schools, First Nations and local governments encouraging people to discover sustainably through the appreciation and conservation of salmon and water in BC’s riversheds. Donnelly has made over 550 presentations to more than 45,000 people, and visited 160 schools in 50 B.C. communities. Betty Anne Faulkner(Elizabeth Anne) was the youngest of four children born to Rowena Elizabeth and Charles Nelson Pretty. She was the only one born in their gracious home at Harrison Mills, B.C., and is the only remaining sibling of her generation. Charles and Rowena acquired the property of approximately 160 acres running adjacent to the Harrison River from a widow, Mrs. Jackson, in January of 1924, before there were any roads built this far up into the Fraser Valley. Charles N. Pretty also bought from the Government, land running out under the Harrison River for quite a substantial way. He wanted his property to remain pristine and a good sanctuary for birds. He did not allow any hunters to shoot water fowl on this property. Betty Anne grew up in the beautiful and natural area, enjoying nature at its best. Watching the magnificent soaring Bald Eagles that inhabit the area through fall, winter and spring, bring much pleasure to her. Some of the eagles do remain all year round. 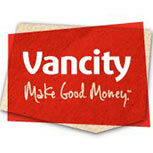 When Betty Anne finished Grade 3, her parents bought a lovely Tudor home in the Shaughnessy area of Vancouver. However, her most favorite residence was always at Harrison, where she and her architectural husband, Douglas P. Faulkner now reside after having lived in West Vancouver for 38 years. Betty Anne’s youngest brother Ivan and she were the only two remaining siblings left, when Charles N. Pretty passed away in 1992, at the age of 102. It was decided at this time to turn the historical home into a Boutique Inn. It was divided equally between Betty Anne and her brother Ivan. The Rowena’s Inn was opened in June of 1995. 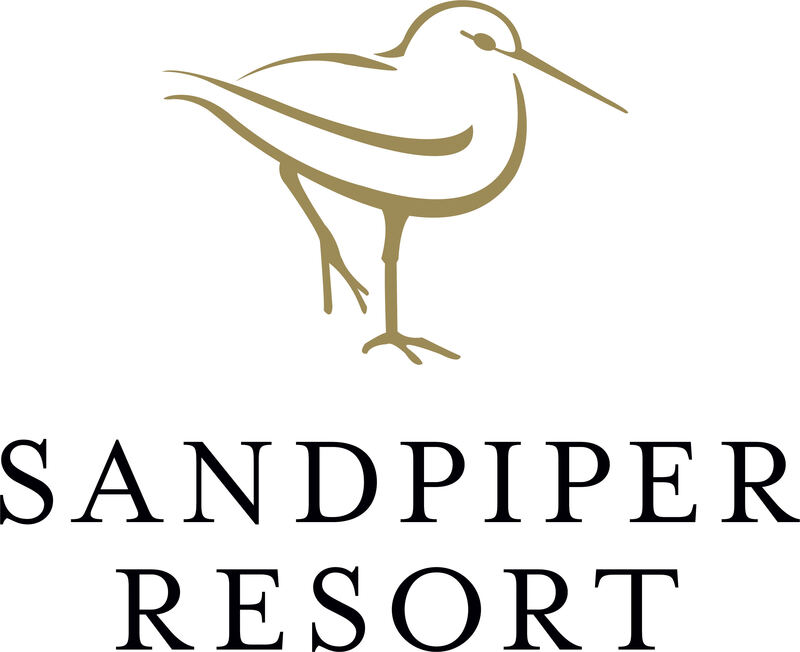 Ivan’s idea was to have a golf course as well, so that was implemented and called the Sandpiper Golf Club, which at present is now the favorite of many. In between all this, four cabins were built and recently, a renovated two bedroom cottage as well, with full cooking facilities. Ivan passed away in 2001, and Betty Anne bought out his 50% from the executor of his estate. She is now 100% Owner, as well as President. Betty Anne specifically wants the history maintained, and eventually family members to carry on the company of Pretty Estates Limited, if possible.